Get the help you need at any time. 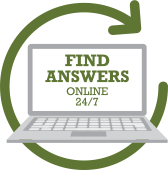 Simply enter your search terms, and find answers quickly—no waiting for returned phone calls or email responses. Copyright © 2016–2019 ND Growing Futures. All rights reserved. Website by Ecliptic Technologies, Inc. The Growing Futures Registry is funded by the North Dakota Department of Human Services and operates under contract to Lutheran Social Services of ND.